Norwegian Cruise Line has announced its summer 2020 itineraries and deployments. Included in this is the new Norwegian Encore which will join the fleet in 2019. The ship will offer cruises out of New York after her inaugural season from Miami. Norwegian Encore is currently under construction in Germany and after the ship completes her inaugural season out of Miami Florida will then sail from New York. 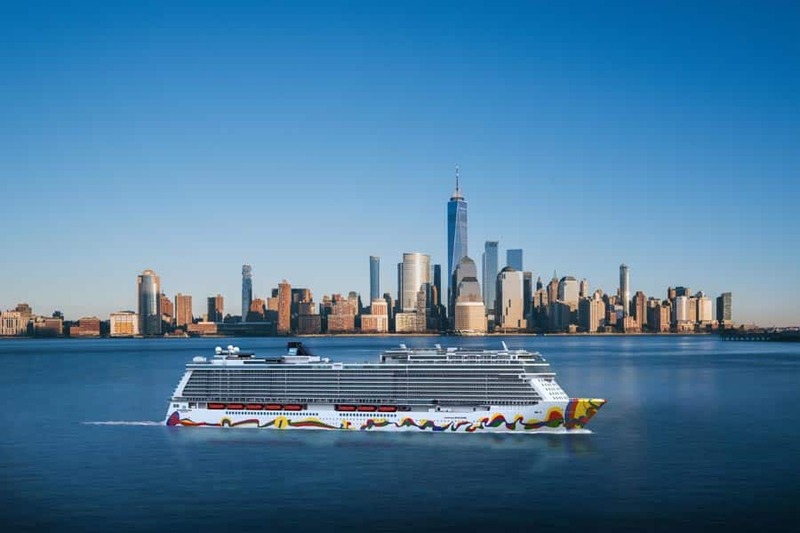 The NCL ship will begin cruises from New York City on April 22, 2020. The ship will offer 7-day cruises to Bermuda and these are now open for bookings. The final Breakaway class cruise ship is being built by the Meyer Werft shipyard in Papenburg, Germany and will first depart on an 11-night transatlantic voyage from Southampton, UK to Miami, Florida. The inaugural season from the cruise capital of the world will offer 7-night Caribbean sailings. Norwegian Bliss, Norwegian Joy, and Norwegian Jewel will sail to Alaska in summer 2020. Norwegian Escape will make her European debut on May 29. Norwegian Gem will offer seven-day voyages from Boston to Bermuda beginning May 1. Beginning April 23, Norwegian Breakaway returns to Miami with a selection of five-and-seven-day cruises to the Western Caribbean. As of May 23, for the first time, Norwegian Pearl will homeport in New York City offering select seven, ten and eleven-day cruises to Canada and New England. Pride of America will continue cruising her seven-day inter-island itinerary that offers nearly 100 hours of port time in Hawaii’s main islands. Expect further details about Norwegian Encore to be revealed over the coming months as we get closer to the ship’s completion towards the end of 2019.